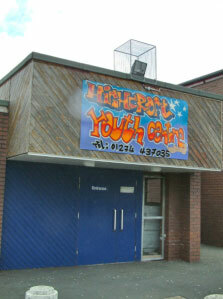 Facilities: Highcroft Youth Centre is managed by Bradford Council Youth Service. As well as Youth Service run activities the building is used by a number of community and voluntary sector projects. All projects must benefit children and young people. As well as having flexible meeting space in the main building there is a separate area for the playgroup, an office used by Wrose Parish Council and a well equipped Sports Hall with a climbing wall which is available to local young people and to community and voluntary sector groups.All local young people aged 13 to 19 are welcome to attend Youth Service run activities in the centre. Highcroft Youth Centre currently has child care places left for 2yr to 5yr olds.